It’s time to get tatted again. I have been thinking about what to get tatted and where to get tatted at. Currently I have ink on both my arms, my chest, my back, and my calves. I feel, albeit hesitantly, that I wanna get some ink on my lower back. Yes, a tramp stamp as people call it. I just don’t want it to be “tramp-ish.” My friends say it makes them think a guy is gay and slutty when he has a tat down there. I honestly don’t care about the gay part since I am, but I do want a relationship; and I don’t want to do anything that would deter a guy from wanting to date or get to know me. What do you think Mikey? Side note, I love your Ink My Whole Body posts! 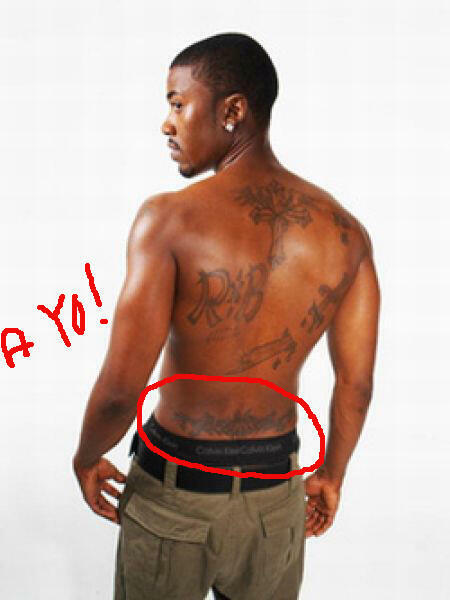 ***Inque Plz, first of all stop calling it a tramp stamp. The only reason people think that area is taboo for tattooing is due to what people usually put down there–something highly sexual. I personally have seen everything from stars, to paw prints, to tribal designs all of which imply it is about to go down. Dare to be different, and put something outstanding that still looks good, but does not have a sexual meaning to it. Might I suggest you get an artist to draw something up for you. It should be something special to you and masculine. Avoid the slanted and pretty things! By the way, doing or not doing something you want to do for yourself just so you can gave a guy is never a good look. If you and he are meant to be it will happen. No tattoo you place anywhere will deter that. Happy inking!